11th & 12th September 2017,at Hotel Renaissance, Mumbai. For the first time two associations NMAR & AREA Group have collaborated to give us a new vision to build business. 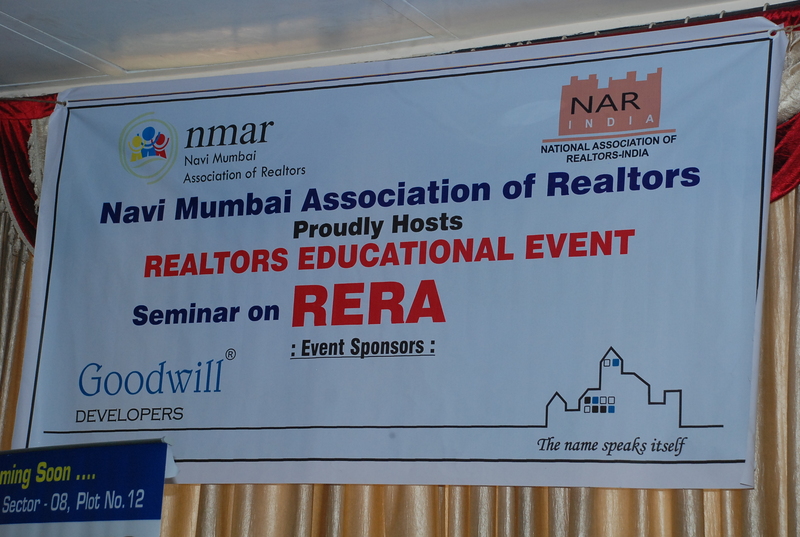 Navi Mumbai Association of Realtors has conducted training seminar on RERA just introduced by Central govt. 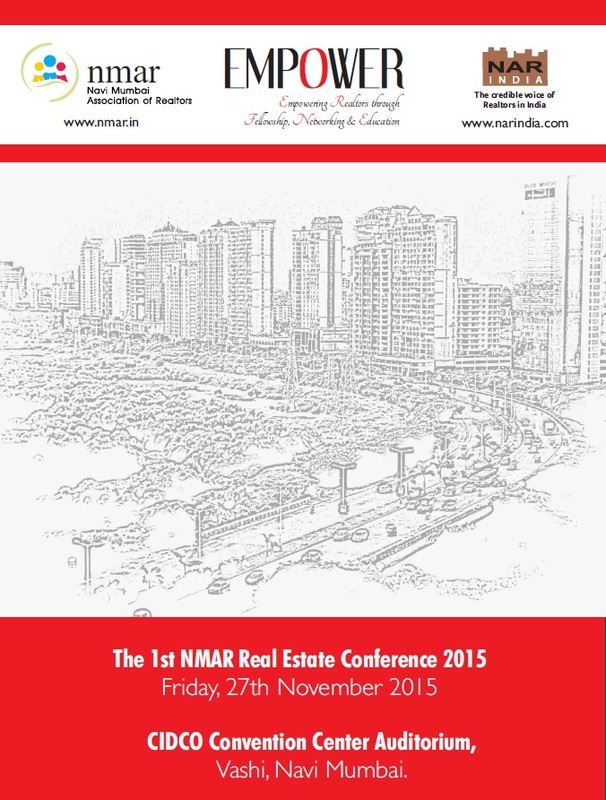 About Convention: The 1st NMAR Real Estate Conference 2015 Friday, 27th November 2015CIDCO Convention Center Auditorium, Vashi, Navi Mumbai The 1st NMAR Real Estate Conference 2015 is a must-attend conference that brings together the biggest names in the real estate industry in order to discuss the challenges being faced by the real estate professionals in the Indian Realty sector. 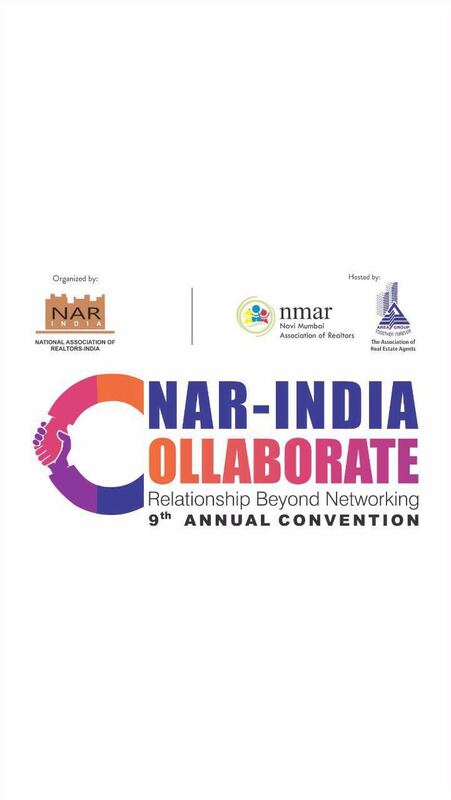 The theme at the 1st NMAR Real Estate Conference 2015 being, is an initiative to create a platform for Industry leaders from the Real estate and allied sectors to deliberate and share their expertise to help find the way ahead for Real Estate Industry. 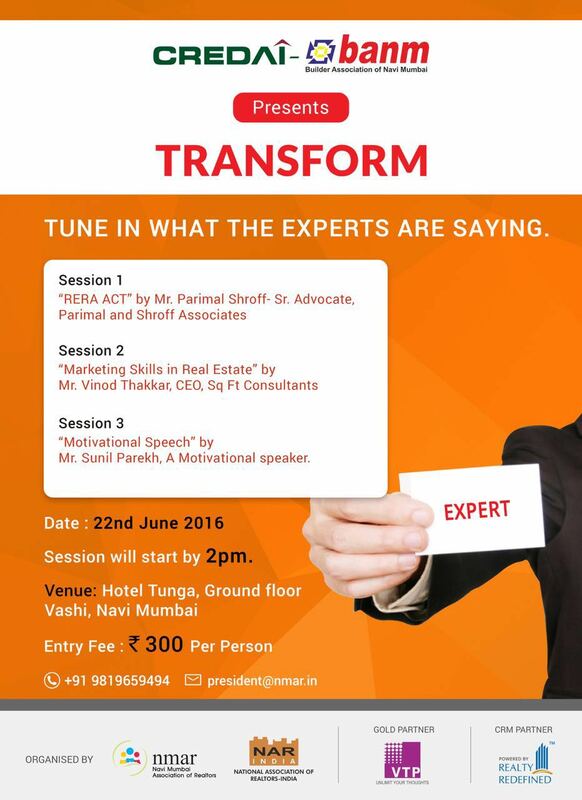 It will include discussions that aim at chalking out effective strategies to overcome various challenges faced by professionals in real estate sector. We assure the participants can look to gain competitive market intelligence on various aspect of real estate transactions.